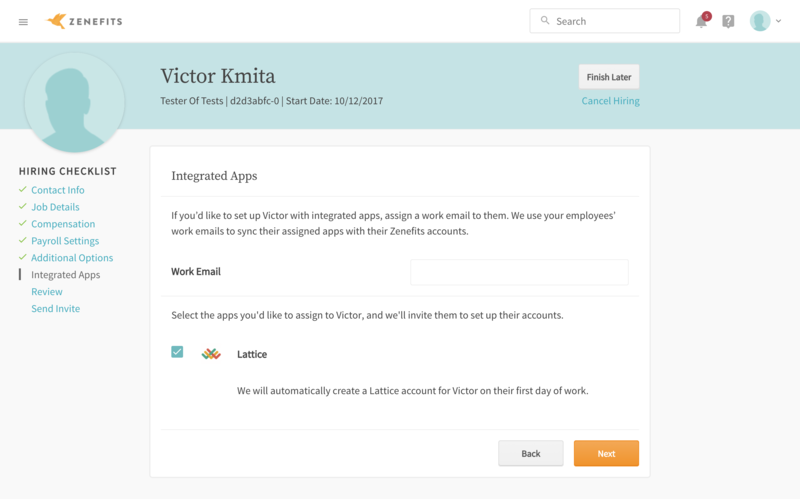 We automatically sync the employees you select from Zenefits to Lattice. We mirror your reporting structure from your Zenefits org chart. 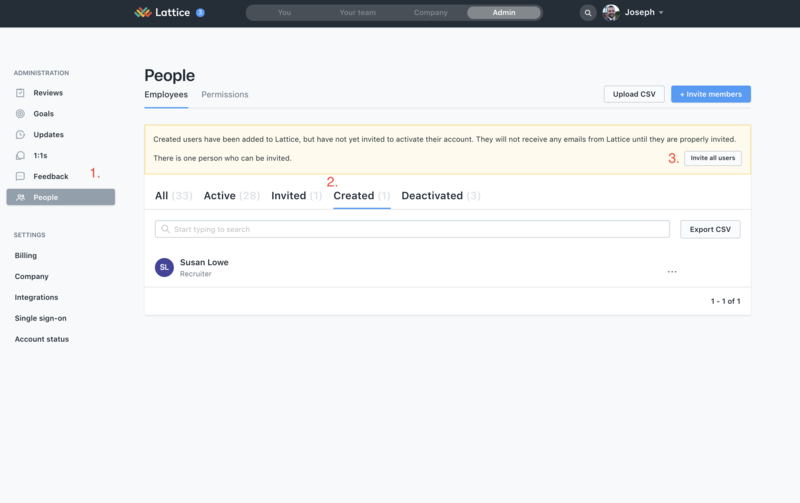 As Zenefits users are added or removed, we'll add them and remove them from Lattice. 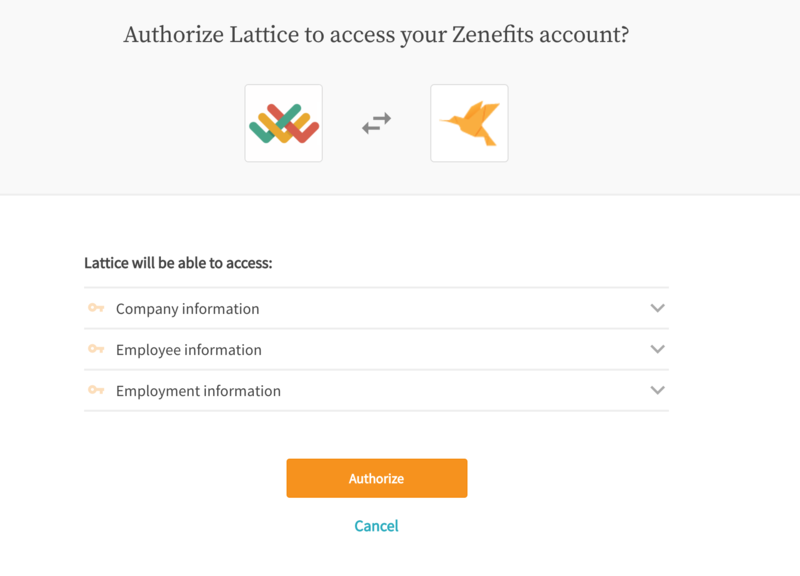 To sync your Lattice account with Zenefits, you must be an admin in both Lattice and Zenefits. First, go to the Admin Settings page. Then click on the Integrations sidebar tab. From there, click on the Zenefits bar, and you'll be taken to a screen to select which employees you'd like to sync to Lattice. This will create accounts in Lattice for everyone you've selected. (Please note this may take 10-15 minutes.) Once you're ready, invite them by going to Admin -> People -> Created -> Resend All Invites. This will email the team for the first time and can also be used as a nudge to resend invites if employees are slow to accept. 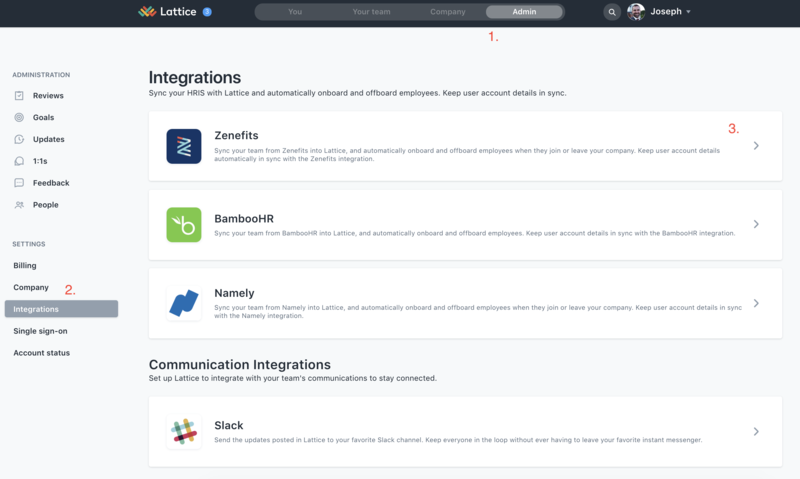 Later, when another employee starts you have the option of adding them to Lattice during the "Integrated Apps" step. Simply keep the checkbox checked and they will sync over to Lattice when they start. If for some reason your information has not yet synced over from Zenefits to Lattice, you can re sync the two systems on demand by navigating to your admin integrations page under "Admin" and then hitting "Sync."